We have designed and extended the school's dining hall to create flexible learning space with a tiered gallery to provide a quiet study area for students during the day or exhibition gallery and meeting area in the evenings. The internal space is capable of being divided off with acoustic screens to create separate learning areas with zero sound transmission between teaching spaces. 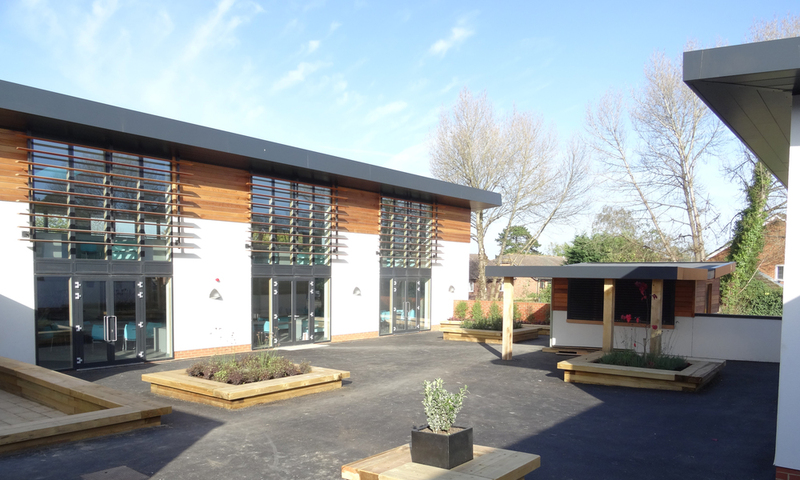 This building is to be viewed in context with other buildings which we have renovated to create a new courtyard area within the centre of the school to provide functional outdoor space for learning and social gathering.